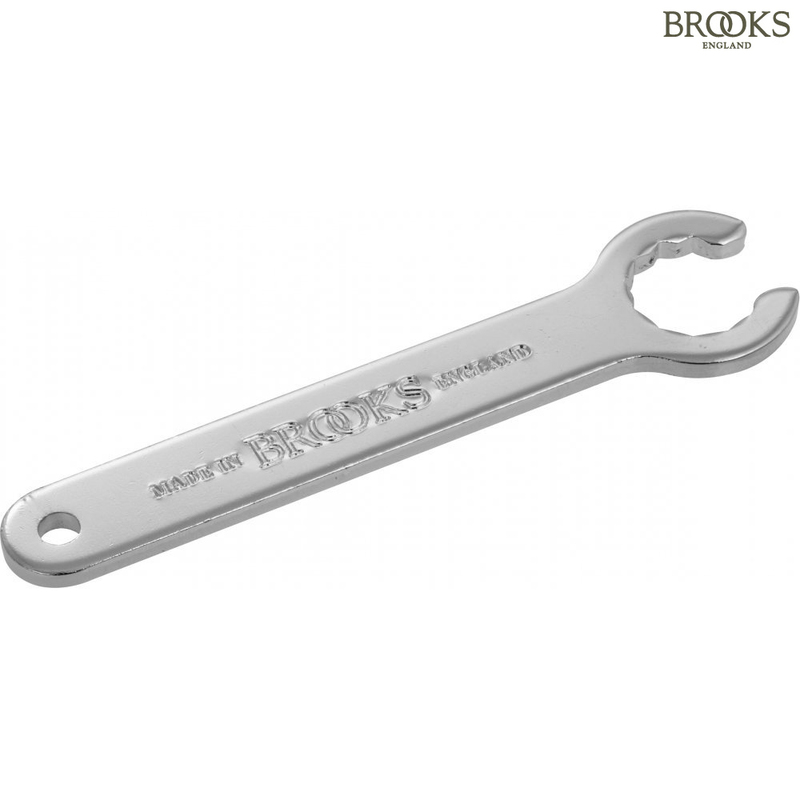 The Spanner is used to tension the saddle in compensation for leather stretch. It is made to fit on the tension nut under nose saddle where standard wrenches would be a tight fit. The shape and design of this tool is perfect for adjusting your saddle. You could buy similar or cheaper but this is designed by brooks for brooks. This is one of those nice to have items, perhaps not essential as an open end spanner would probably fit into the available space, but it does however fit onto the nut easily, and allows more movement then a normal open ender would. How not to lose it? Perhaps use it as a keyring for your bike lock? Bought this because I thought, 'well why not'. Looking forward to using and hoping I won't lose it before I get the chance. Time will tell on this one. This is the best rim tape unless you need thinner tape for tight fitting tyres.I found Continental rim tape good for that.